A state-by-state look at boating accident statistics in U.S. waters. A search engine that allows you to produce tables and charts using accident data. Results of the latest study on life jacket wear. Data includes comparisons of wear rates from 1998 through 2015. Recent research on the contribution of boating under the influence on boating accident. 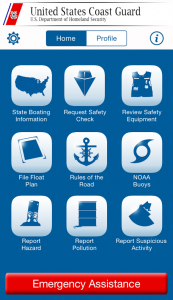 The results of a Coast Guard survey of nearly 26,000 recreational boat operators. This study compares States implementing a "Quick Phase-In" approach to boating safety education versus States with other boater education policies.